For more than 20 years, the Law Offices of Berge & Berge have delivered honed representation for estate planning and trust matters in San Jose, California. As a graduate of Santa Clara University, our founder and managing partner, James Berge, is deeply connected to the South Bay community. He leverages a master's degree in tax law and experience as a California Certified Public Accountant to provide unparalleled counsel to clients. MoreFor more than 20 years, the Law Offices of Berge & Berge have delivered honed representation for estate planning and trust matters in San Jose, California. As a graduate of Santa Clara University, our founder and managing partner, James Berge, is deeply connected to the South Bay community. He leverages a master's degree in tax law and experience as a California Certified Public Accountant to provide unparalleled counsel to clients. In an effort to give people as much information as possible and put them in charge, we offer customized planning via our 3-Step Master Plan. Each client receives a comprehensive seminar and designs an estate plan based on his or her goals before our attorneys review and prepare the final product. We also provide annual account maintenance with our convenient LifePlan. 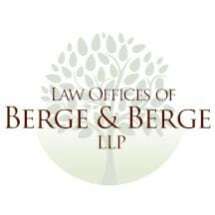 The Law Offices of Berge & Berge invite prospective clients from across the San Jose metropolitan area to call us and set up a consultation to discuss your case and propose the best solution to your estate planning needs. We accept checks and credit cards as payment for all our services.